Has there ever been a better time to be a black female content creator? Conventional logic would say no; after all, filmmaker Ava DuVernay just inked a $100 million dollar deal with Warner Bros., while Shonda Rhimes has moved her evolving empire of successful series to Netflix in a deal reportedly worth $150 million. And as the narratives of proven hitmakers like Issa Rae and Lena Waithe grow in prominence, so too does the demand and opportunity for fresh new perspectives that explore what it means to be black in America—specifically, a black woman. But new opportunities are only the tip of the iceberg for creatives of color, who are just beginning to be afforded seats at the table in industries that continue to grant them access with extreme rarity. One of those emerging creatives is director, producer, writer, actor and 2018 Root 100 honoree Sam Bailey, whose ascent from web series creator to one to watch within the television and film industry has been nothing short of incredible. Until four short years ago, the Chicago native was primarily an actor, continually frustrated with being relegated to “filler roles” in her local theater scene. Bailey’s dissatisfaction with the amount of well-developed roles for black women led her to create and star in her own webseries, You’re So Talented, chronicling the adventures of Bea, an out-of-work actor in her mid-twenties (who also happened to be a black woman), trying to navigate her way through a quarter-life crisis without a clear sense of direction. Sam Bailey starred as Bea Freeman in the first web series she created, You’re So Talented. It was an incredibly relatable premise; so much so that the series took off, earning a premiere slot at the 2015 Tribeca Film Festival, as well as a Gotham Award nomination. It also laid the groundwork for Bailey’s next web-based project, Brown Girls. In collaboration with writer Fatimah Asghar, Brown Girls explores the power of friendship between two women of color as each grapples with revelations about queerness, commitment, and career paths. The series, which debuted in early 2017, earned the duo a 2017 Primetime Emmy nomination for Outstanding Short Form Comedy or Drama Series—and a development deal with HBO. If the trajectory sounds familiar, it should. Issa Rae traveled a similar path en route to her HBO deal, minus the Emmy nomination (which finally came this year). And the comparisons don’t bother Bailey, who considers Rae and Waithe among the trailblazers who have made her own rise possible. Based in Los Angeles, Ca., Bailey, 29, is enjoying a type of rise and recognition rarely achieved by self-taught directors such as herself. And in an industry well-known for telling creators of color that there’s only room for one at a time, Bailey’s inspired by the crop of collaboratively-minded creatives of color coming up alongside her—and not at all discouraged by the idea of entering another black millennial female narrative into the HBO lexicon. 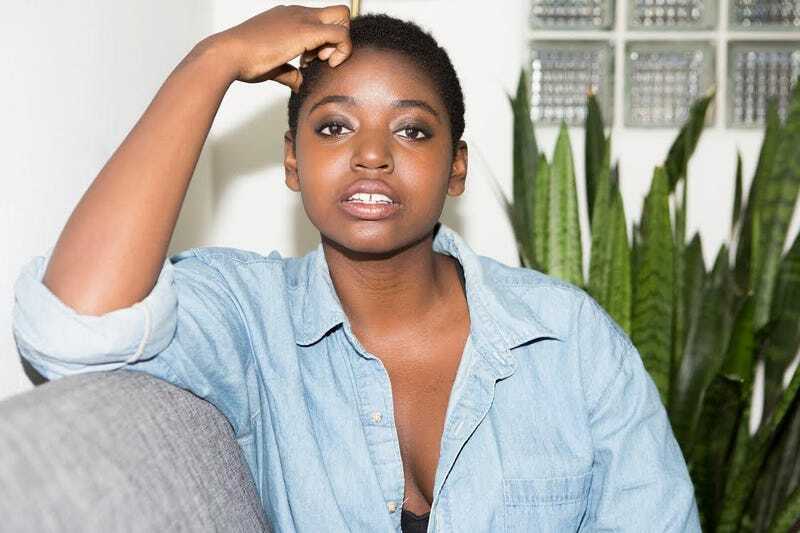 Brown Girls is still firmly in the development stages at HBO, but in the meantime, Bailey’s adding to her resumé, including directorial credits on Freeform’s Alone Together and several episodes of the upcoming series adaptation of The First Wives’ Club. She’s also close to closing a deal to develop and direct her first feature, a tremendous feat for a director only four years into her career. As for her lack of film school training, Bailey hasn’t let it hinder her progress—or her confidence.